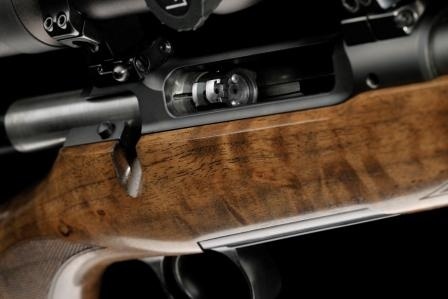 The Sauer 101 "The New Bench Mark In Bolt Action Rifles". 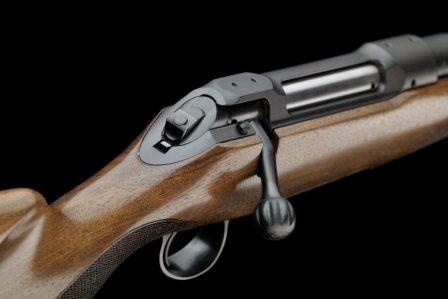 <br> The Classic has a oiled dark Walnut ERGO MAX grade one stock with a soft rubber recoil pad.<br> With the touch of a button the safe opener allows opening of the bolt whilst the safety is still fully engaged. <br> The DURA SAFE is the only direct firing pin safety that is activated by an ergonomic switch built in to the bolt shroud. <br> Also its integral firing pin block allows firing only when bolt is fully locked into the barrel. <br> The barrel and receiver ring are joined by the tension-free HEAT LOCK process.<br> It has an extra wide trigger with a glass-sharp two pound pull. <br> The 101 has everything you need and would expect from a superb Sauer rifle. When Sauer & Sohn designs a new bolt-action rifle it has only one ambition: To be best in class! The Sauer 101 "The New Bench Mark In Bolt Action Rifles". The Classic has a oiled dark Walnut ERGO MAX grade one stock with a soft rubber recoil pad. With the touch of a button the safe opener allows opening of the bolt whilst the safety is still fully engaged. The DURA SAFE is the only direct firing pin safety that is activated by an ergonomic switch built in to the bolt shroud. Also its integral firing pin block allows firing only when bolt is fully locked into the barrel. The barrel and receiver ring are joined by the tension-free HEAT LOCK process. It has an extra wide trigger with a glass-sharp two pound pull. The 101 has everything you need and would expect from a superb Sauer rifle.